A real estate developer, a CPA, a solo legal practitioner, a physician, an investor, a marketer and an experienced cultivator and manufacturer: These are a few of the entrepreneurs poised to enter the medical marijuana industry in St. Louis. ST. LOUIS - There’s been a palpable excitement among business people in St. Louis about the medical marijuana industry since a constitutional amendment legalizing it was approved by two-thirds of Missouri voters in November. Those who have watched the industry develop in other states feel it. A solo legal practitioner sees it as a fresh start: “Marijuana is a way for me to be on the cutting edge,” said Denise McCracken of D.B. McCracken Law. Even a conservative CPA is gung-ho: “We are going to do what we can to be the medical marijuana accounting firm in Missouri,” said David Smith of Swink, Smith, Coplen & Co.
A maximum of 60 cultivation licenses, 80 manufacturing licenses and 192 dispensary licenses will be issued in the state. The state’s Department of Health and Senior Services (DHSS), which regulates the industry, will have application forms available beginning June 4 and begin accepting them July 4. Decisions on the applications are to be made within 150 days but may take longer depending on volume. Meanwhile, entrepreneurs are lining up. DHSS began taking early applications fees Jan. 5 and took in more than $2 million in the first week — even though early payments are nonrefundable and offer no competitive advantage. The economic potential is huge. Nationwide, medical marijuana is estimated to be a $5.6 billion business this year and is projected to more than double to $11.4 billion in five years. In our state, the Missouri Medical Cannabis Trade Association estimates $500 million in total economic benefit for the first year of the program. Here’s a look at seven people hoping to capitalize on that potential in the St. Louis region. MITCH MEYERS AND JOHN CURTIS | BeLeaf Co.
Mitch Meyers once introduced the world to Bud Light, the nation’s best-selling beer, and was so prolific at product marketing that she was named AdWeek’s Advertising Woman of the Year in 1996. Today, she’s still introducing new products to the market. But instead of beer, she’s taking on a different vice: Cannabis. 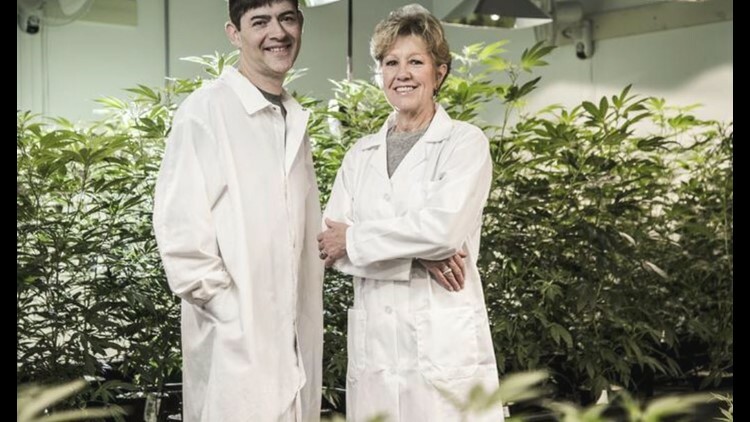 Meyers, along with John Curtis, is operating partner of BeLeaf Co., an Earth City company that intends to seek cultivation, manufacturing and dispensary licenses in Missouri to produce CBD, the non-intoxicating marijuana extract, for use in treating epilepsy. 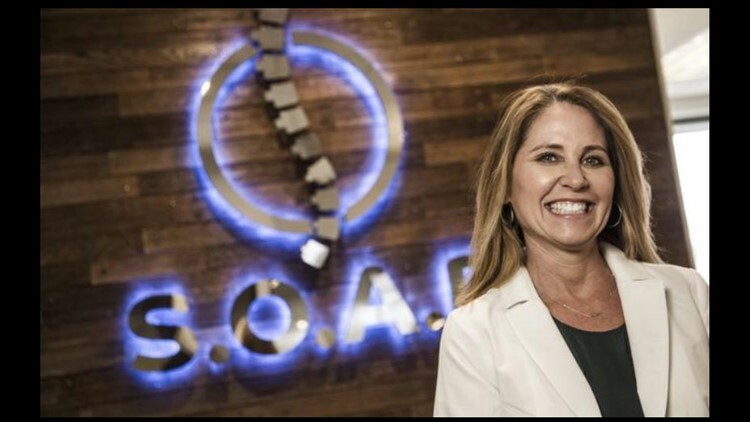 After years at Anheuser-Busch, where she was in charge of introducing new products, she co-founded ad agency Zipatoni in 1989, representing many Fortune 100 companies. It reached $42 million in annual revenue before selling to Interpublic Group in 2002. In 2014, she received a dispensary license in the competitive Illinois medical marijuana market of greater Chicago, operating as Nature’s Care Co. A year later, she received a cultivation, production and dispensary license in Missouri for BeLeaf Co. to produce CBD. She also is one of eight partners in the Creative Cannabis Consultancy, which provides financial, design and marketing services. So far their investment is about $1.7 million, with seven employees. Curtis, BeLeaf’s other operating partner, spent a decade as a radio reporter covering politics, including at KTRS and Westwood One, before entering the cannabis industry in Colorado in 2010. “I got out of journalism because I was tired of being poor,” he said. His first interest in the industry goes back as far as the 1990s, when he spent two summers in Southern California learning more about legalization efforts there. “I was, without a doubt, a recreational user, and I saw a profit opportunity,” he said. To see the other entrepreneurs click here.